Departing later this year and next, two beautiful boutique ships are making the trip North in search of the spectacular light display. 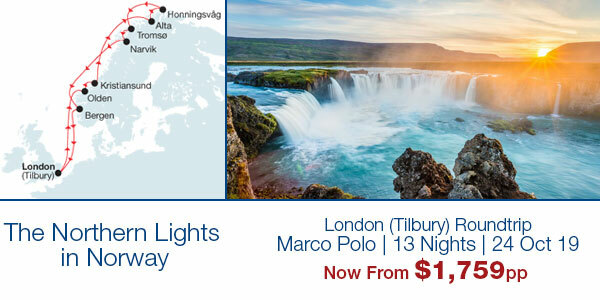 Explore high above the Arctic Circle along Norway’s beautiful coastline or opt for a trip to the Faroe Islands & Iceland on your quest to witness the magic. 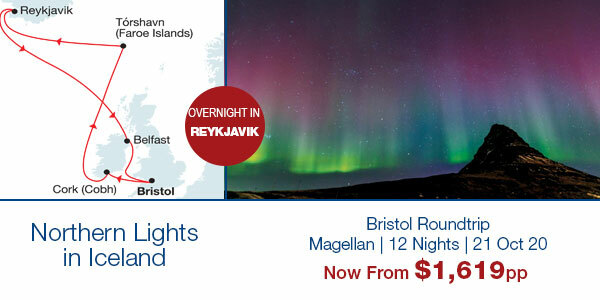 Some of the cruises even have fantastic overnight calls in Reykjavik, Alta or Torshavn! 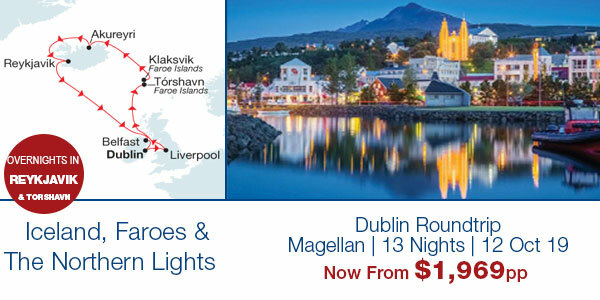 Choose one of the exciting cruises below - but be quick! 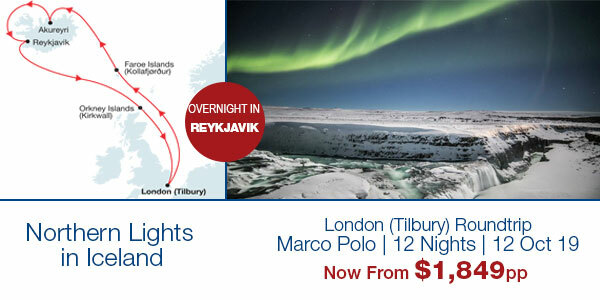 This is one of the most sought after destinations and with prices starting at just $1619pp (AUD), they'll go fast! 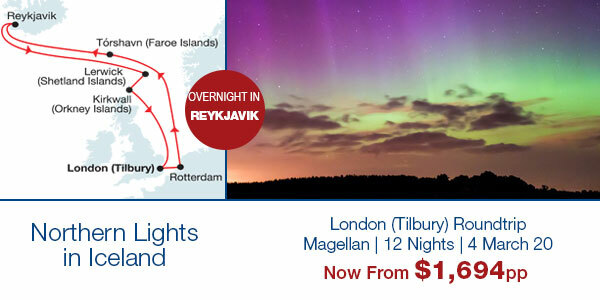 Terms & Conditions: Visibility of Northern Lights subject to suitable atmospheric conditions and not guaranteed. 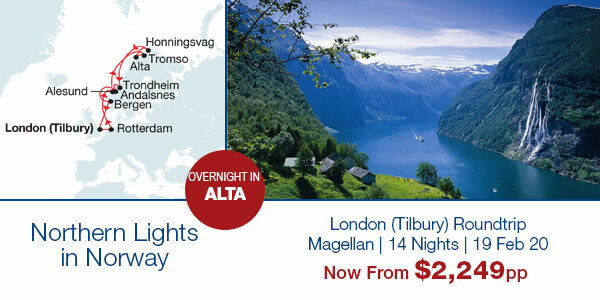 Offers are valid for new bookings only on selected voyages. Fares are cruise only, per person twin-share, in AUD and include all savings, discounts, port and government charges (including GST when applicable). Prices correct at time of send. Guarantee Cabins are allocated by CMV approximately two weeks prior to sailing, suite location/category/number cannot be requested/chosen. Prices are governed by the CMV terms and conditions. This offer can be withdrawn at any time without notice and is subject to availability. Gratuities not included. Amendment/cancellation fees and booking conditions apply.